Epsylon - The Guardians of Xendron takes the player on a journey to a futuristic world investigating a very special Science-Fiction setup. With a team of rather different characters the player investigates, and if required fights, his way through a large case. How you solve the case is though up to you. Combine the strength of your team members is important as no team member alone can crack the case alone. If you would like to view other media in this gallery click here. 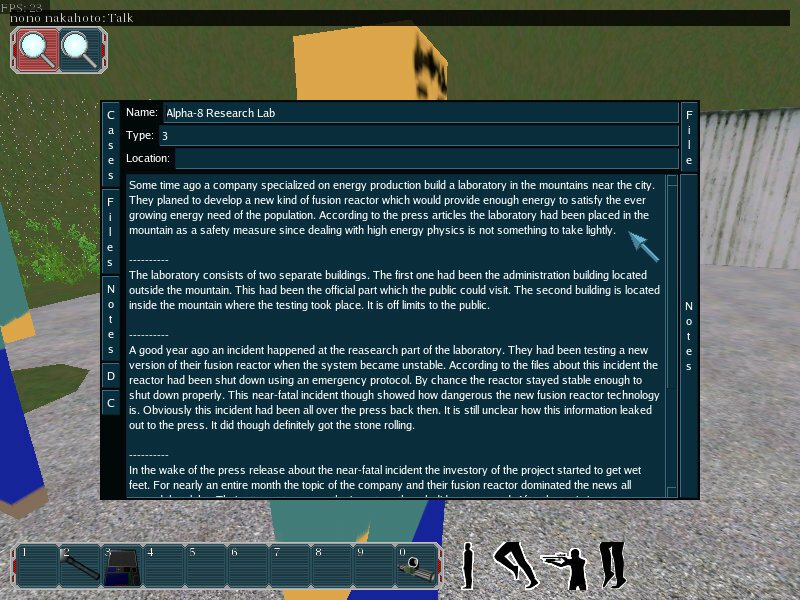 Screenshot of the file view in the Investigation System. See news post for more infos.